Father’s Day is in June every year but it’s never too early to start planning. Our fathers teach us about so much like money, life, and love. This fathers day is a chance to show our appreciation for them. Growing up I always enjoyed making my dad gifts for Father’s Day and now my kids love to do the same for me! 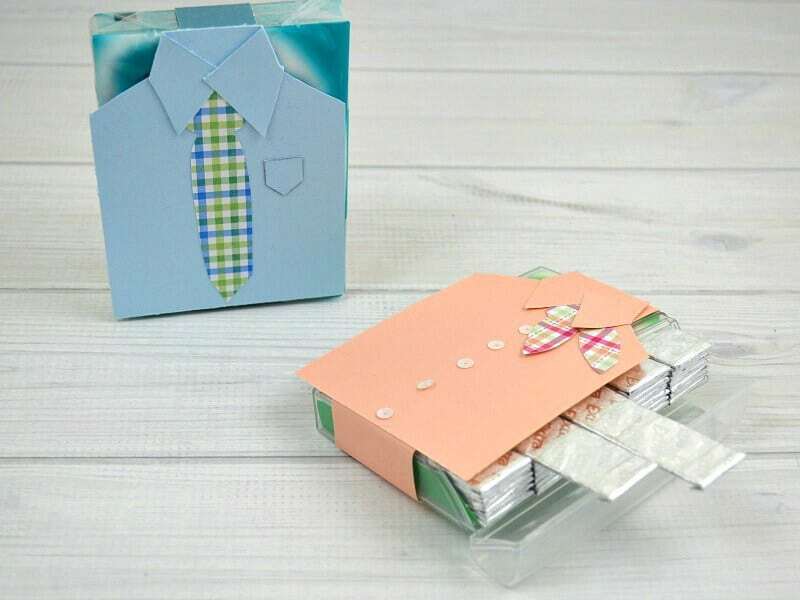 Here are the Top 15 Easy DIY Father’s Day Gift Ideas your kids can easily make! Depending on the child’s age they may need your help to pull off the great Father’s day gift. DIY gifts were always my favorite to make for my father growing up because he knew I made it and was always cheaper than just buying something. I loved watching his face light up as he saw how much time and effort went into gifts I made for him. As a Dad, you might just find some these wrapped up for you this year! The first stop on our list of easy DIY father’s day gift ideas begins with some tasty chocolate in a special package created just for Dad. Nothing says I love you like their favorite candy bar in a special package made by you! 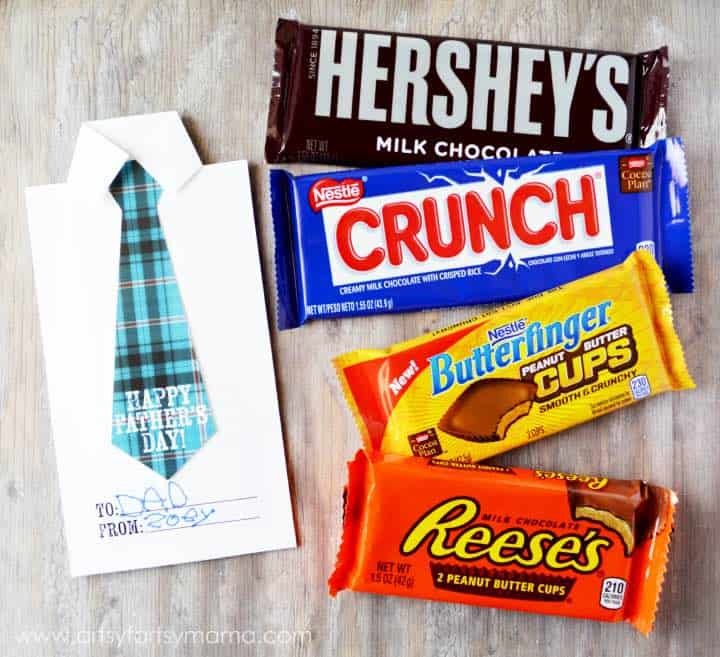 Tucked inside this cool shirt and tie package sits your favorite candy and a little something special about you! 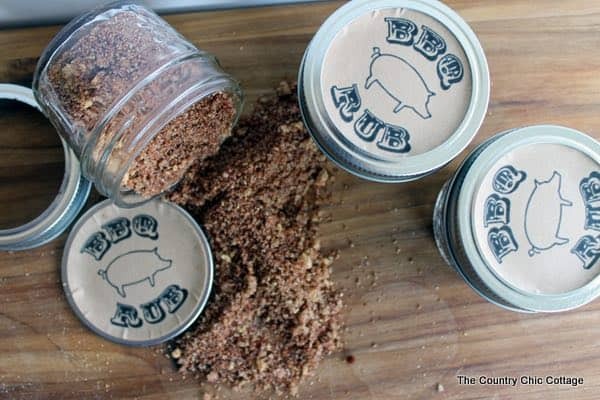 Everyone knows the way to man’s heart is through his stomach which brings us to this amazing BBQ Rub gift! This one is super easy to put together and totally customizable. Father’s day gift in a jar has a ton of uses to make your man excited to grill or smoke some meat. I love a good smoked brisket with some homemade rub! My mouth is watering just thinking about it. Whether you work in construction or just have a handyman tool bag, this is going to be an amazing addition. 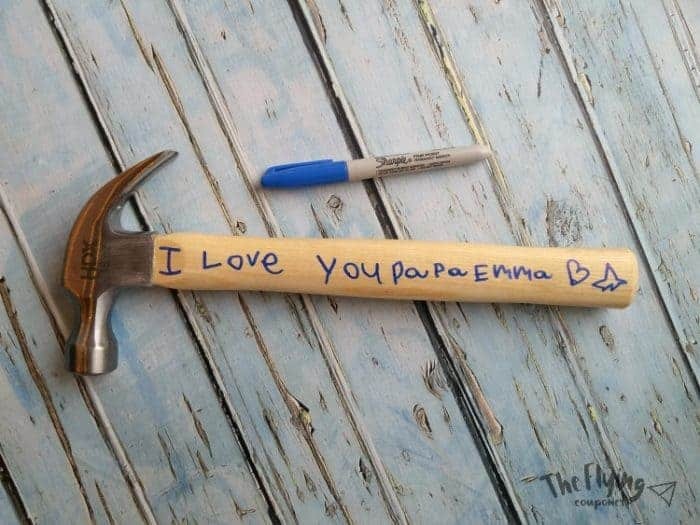 It’s a personalized hammer just for dad! Every father loves a new tool as a gift, especially one that is customized by his kids. The super easy to follow instructions will help you create lasting memories for the kids and the dad. 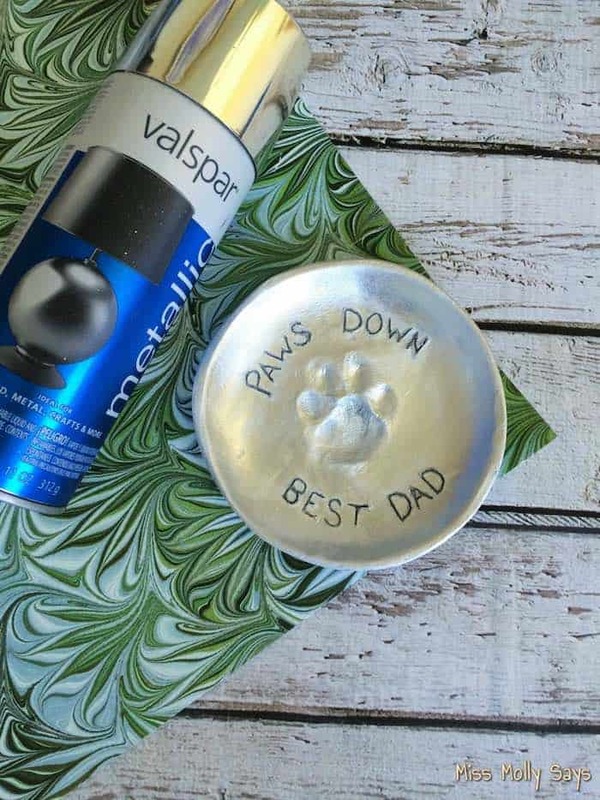 Here’s an easy DIY father’s day gift idea for the dads that have furry loved ones (Pets). Any dog lover will think this is a great gift from mans best friend. It’s easy to make even on short notice. You can keep your keys, loose change, or even mints in this catchall dish. Do your kids have an artistic side? If you said no, don’t fret, these are so simple it would work for them too! 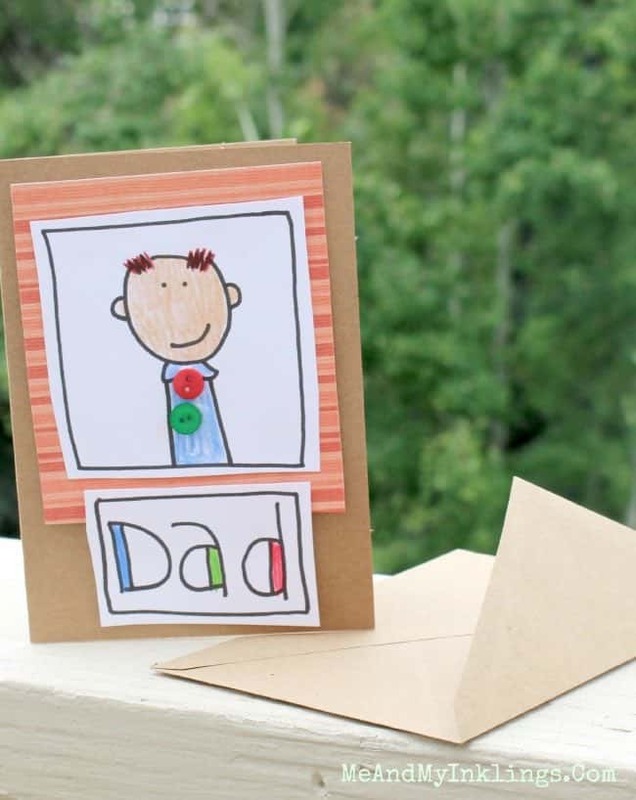 The doodle some daddy love cards are adorable and easy to put together! Grad the scissors and crayons and have fun with the kids on this one. You can even add some buttons or yarn for more fun! Any dad would appreciate this card! I know I would! 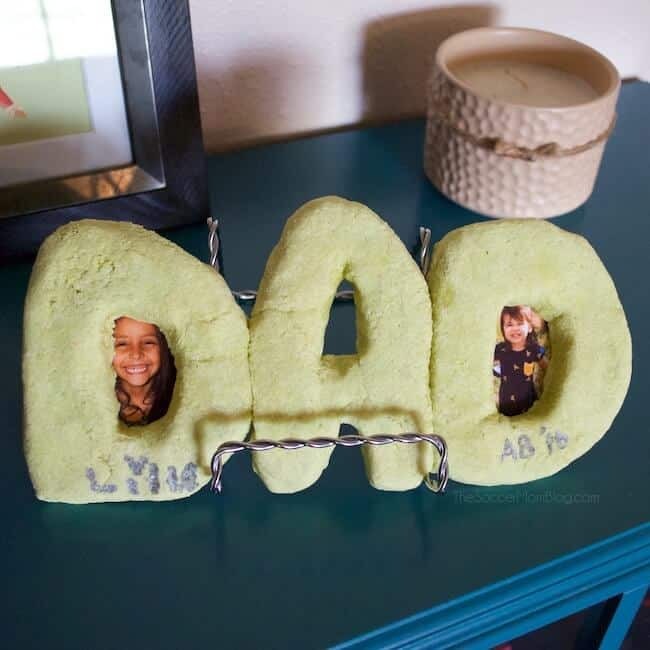 This is a good one that caught my eye when I made the list of easy DIY father’s day gifts! It’s a custom and personalized alphabet soup frame for father’s day for the main dude in your life. You can paint the letters anyways you want and add any kind of “push pins” that would mean something for dad. Some possibilities could be game pieces, colored pasta, some funky button, or anything else you can think of. Have fun with it! 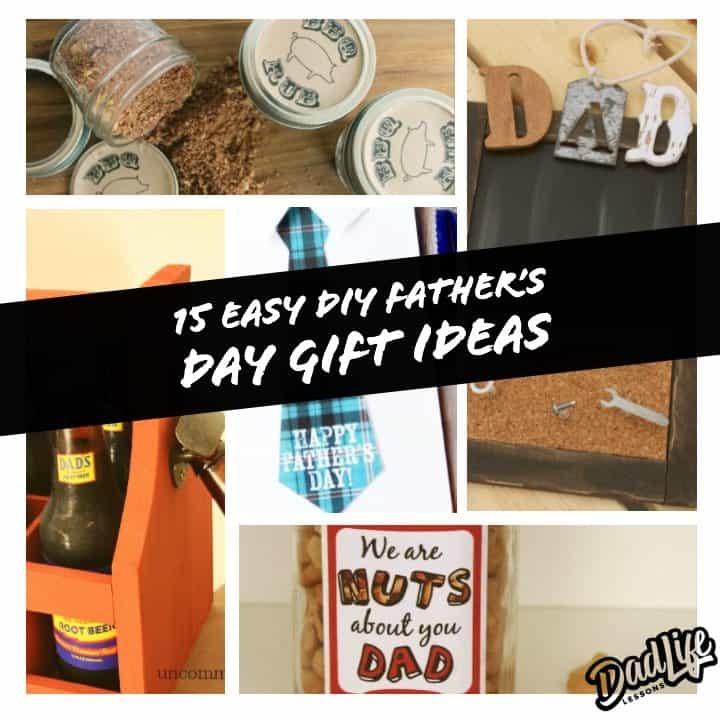 Next on our top 15 easy DIY father’s day gifts, is something I would love. 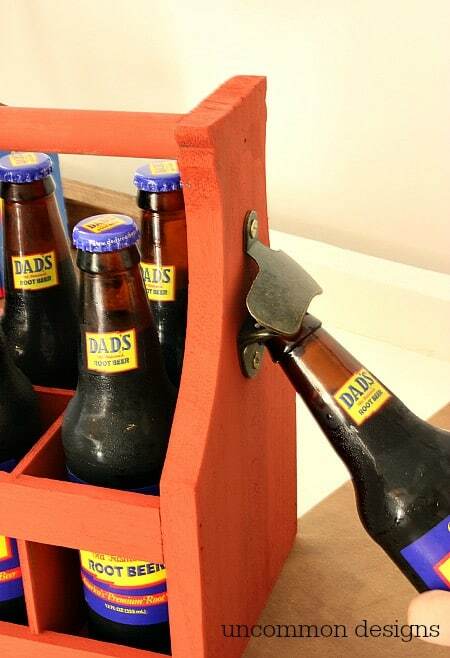 A wooden bottle caddy with free fathers day printable tags to complete the gift. This is super easy, especially if you find the caddy already built in the store! Simply add some color, dads favorite bottled drinks, for me it an ice cold Coca Cola or Root Beer, and put on the free printable tag! You are all set and ready to impress Dad! 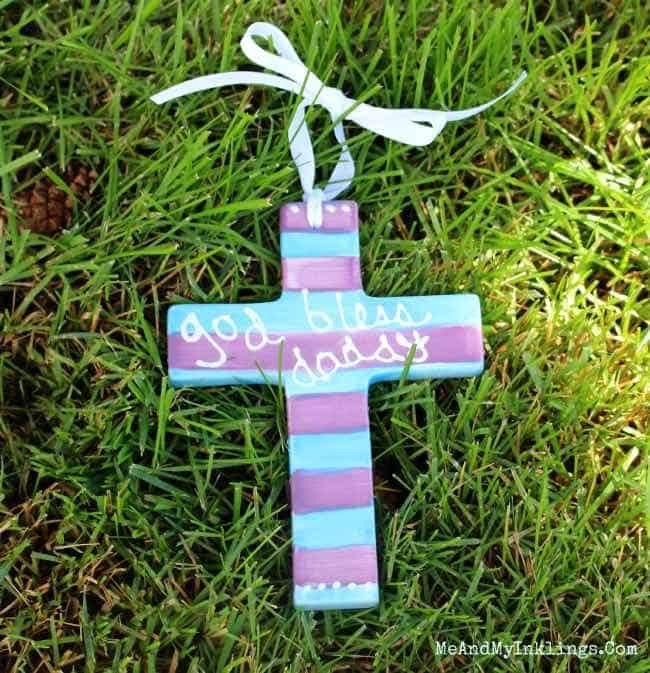 Do your kids love crafts and painting? If so, then this is a good one to let their creativity run wild! When it comes to hand-painted ceramics you can choose from mugs, frames, crosses, and more! I drink a lot of coffee and would love a personalized coffee mug to start my day off right. Let your love and creativity shine with the gift of a hand painted ceramic. We are going in the all-natural route with this gift idea. 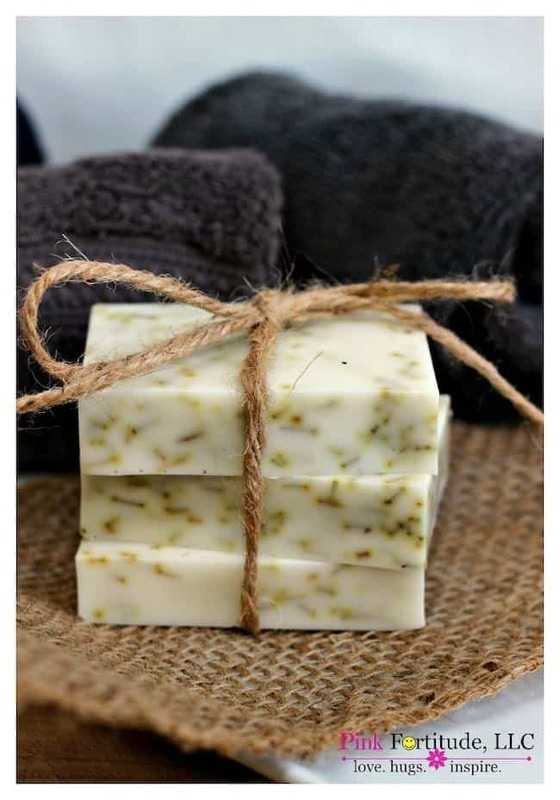 Make dad some all natural homemade bar soap. You can add any herbs you think dad would like, but rosemary is a great one along with mint or lemon. Keep your dad squeaky clean and smelling great with this fun bar soap gift idea for fathers day. My dad is a huge fan of mixed nuts and will go crazy over this one! With four simple materials, you are guaranteed to make dad smile. Nuts for Dad has it all planned out for you, all you have to do is print and assemble. Choose his favorite nuts to keep him snacking while he watches the big game. 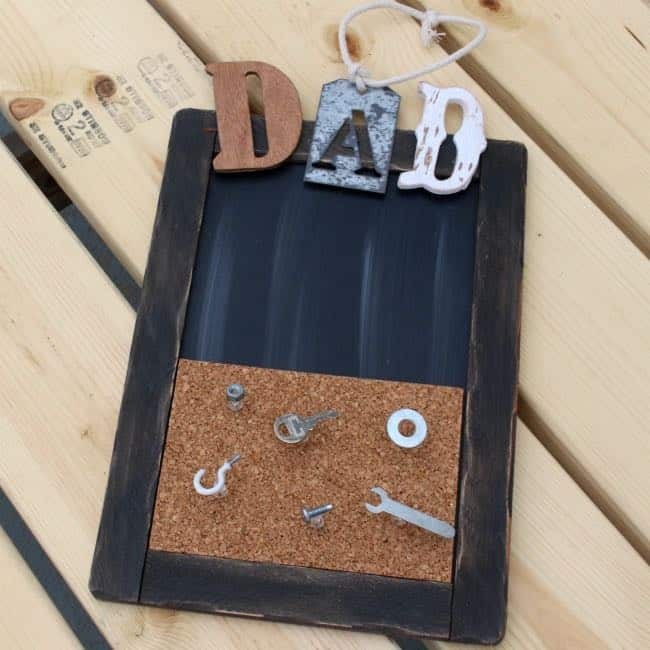 My dad is going to love this and that’s why it’s listed in our top 15 DIY father’s day gift ideas. Some of the best gifts come in small packages. Let dad know how extra special he is to you with a pack of “Extra” gum! These are the coolest shirt and tie packages ever, plus including his favorite gum is a bonus too! Every time he grabs a piece of gum he will think of the one who made this for him. Tell dad how much he means to you this year. When I was little I looked up to my dad and would have loved to give him this awesome award. 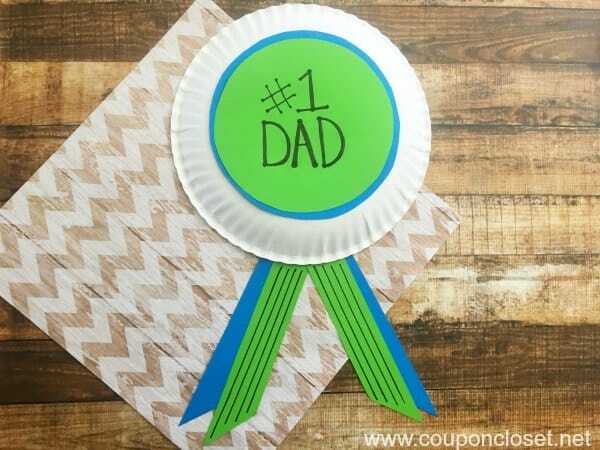 Give your dad the homemade gift of #1 Dad Award! You can customize it with colors that you think your Dad will enjoy. To add a personal touch on the underside you could list a few reasons why you think your Dad is number one as well. This one looks so good you could eat it, but I don’t suggest it! “Dad” Salt Dough Picture Frame will look great in any color and in dads office to show off his wonderful kids. I remember making salt dough ornaments when I was a kid, so to receive a picture frame from my kids would be awesome. 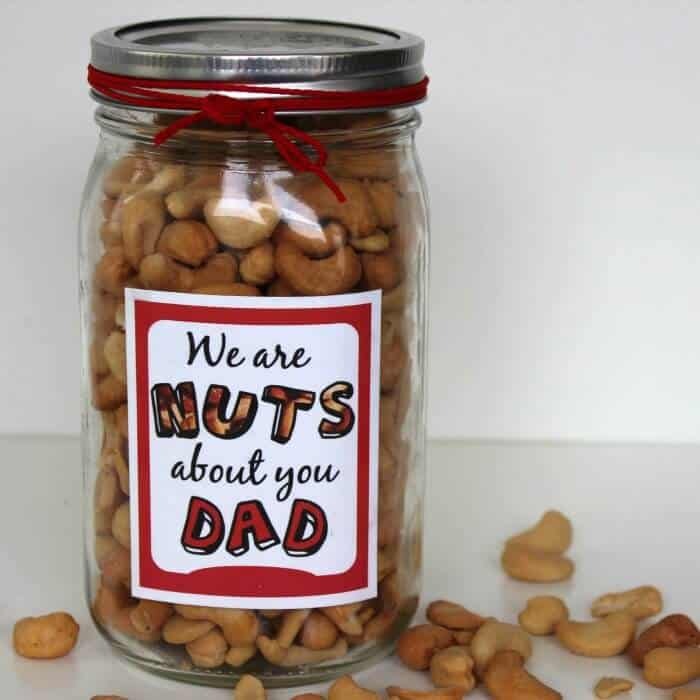 Any father would be proud to display this customized gift. Alright, we are down to our last two gift ideas on our top 15 DIY father’s day gift ideas. 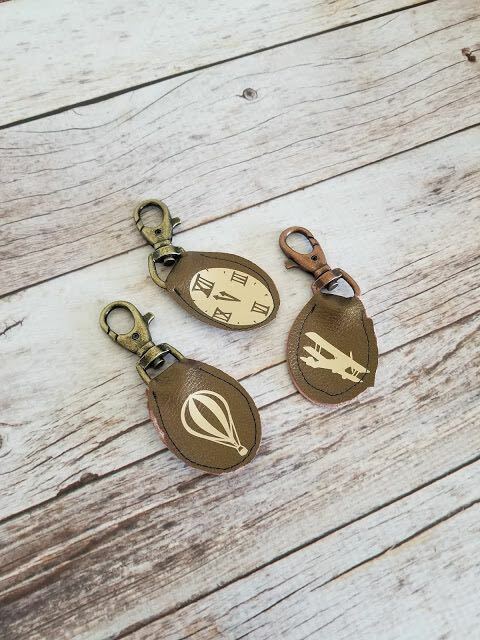 Take a look at this DIY Leather Keychain. It’s a classic look for any dad and has great easy to follow directions. You can pick the right color that will match your dad’s style. This way they can take a memory with them anywhere they go and think of the kid(s) that made it for him. Our last stop on our list is an All About My Daddy Interview with FREE Printable. I helped my kids do one of these for their mom for Mother’s Day and we loved the answers they came up with. This is one of those gifts that will be shown off and framed to display. As an added bonus don’t forget to check out our 10 Dad Jokes, to share with Dad to make him smile. 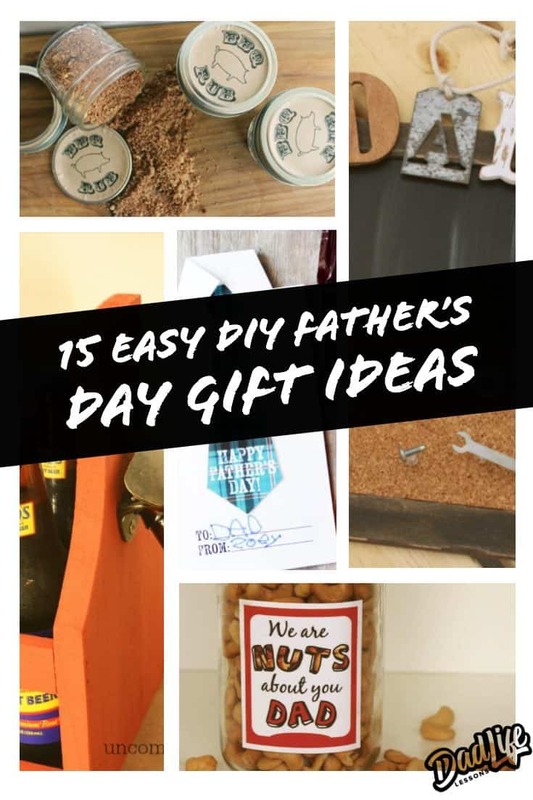 I hope you loved our list of the top 15 DIY father’s day gift ideas. Father’s day is Sunday, June 16, 2019. Make sure you pick out just the right gift idea to give to your dad this year. Do you have other ideas that we didn’t list? I’m sure there are tons more. Get creative and have fun! You never know, you just might get one from our list above! Maybe you read this list and thought man I wish there was a list for moms, don’t worry we have you covered with our list of Easy DIY mothers day gift ideas. LOVE this post and the sharing of these fantastic ideas! Thank you!